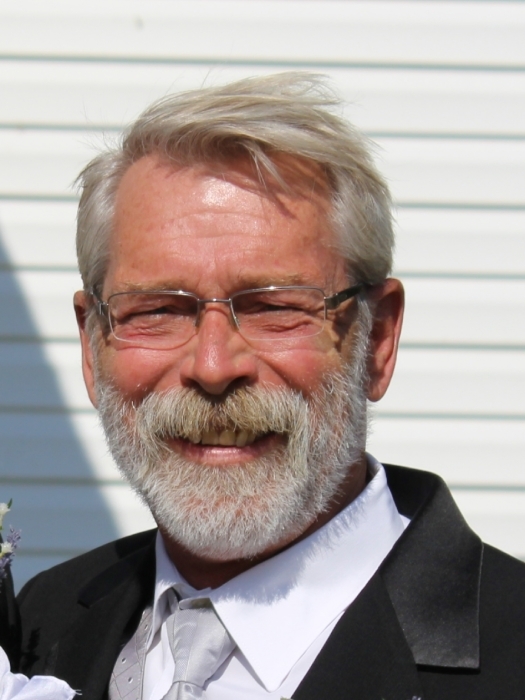 Randall Frank Huston (Randy), age 64, formerly of North Vernon, Indiana, died unexpectedly at his home in Santa Rosa Beach, Florida on Saturday, July 21, 2018. He was born August 25, 1953 in Columbus, Indiana to Robert and Rosemary (Paswater) Huston. Randy married Kathy (Stout) Huston on July 25th, 1980 at Garden City Church of Christ in Columbus, Indiana. Randy was a 1971 graduate of Columbus High School. He worked in a variety of machinist jobs including Reeves Pulley Company & Decatur Mold. While at Decatur, he transitioned to IT where he remained until retirement from Valeo Sylvania in 2013. Randy was involved in coaching numerous youth sports teams as his children grew and one of his greatest joys was coaching and teaching “his kids” and watching them all grow and succeed in life. He enjoyed golf with his buddies and family, playing guitar and traveling. Upon retirement and moving to Florida, he enjoyed fishing and spending time tinkering and helping others. Randy loved creating memories with his wife and children and most recently his infant granddaughter. He is preceded in death by his parents; and brother, Perry Huston. Randy is survived by his loving wife of nearly 38 years, Kathy; one daughter, Andrea (Travis) Lichlyter; and granddaughter, Ava Ruth Lichlyter of Columbus, Indiana; one son, Craig (Jasmine) Huston of Santa Rosa Beach, Florida; two sisters, Connie (Robert) Blessing and Cheryl (Tom) Harman both of Columbus, Indiana; nieces, Erin Kingery of Greenwood, Indiana, Kristi Harman of Columbus, Indiana and Nicole Stout of Beloit, Wisconsin; nephew, Kyle Harman of Martinsville, Indiana; great-niece, Ella Kingery of Greenwood, Indiana; and great nephew, Ryder Harman of Martinsville, Indiana. Randy is also survived by many cousins and dear friends residing all over the country. A celebration of life will be held at Ogilville Christian Church on Sunday, August 5th, 2018 at 5pm with visitation from 2pm until time of service. The family asks that in lieu of flowers memorial donations made to Mercy Rescue (mercyrescueandadoption.com) or Alaqua Animal Refuge (alaqua.org). The family asks those attending services to dress casually and bring your favorite Randy story. Arrangements and services are under the direction of Davis-Watkins Funeral Home of DeFuniak Springs, Florida.